If you watch the “Ellen DeGeneres Show,” you know that she is full of surprises. She often surprises her guests and audience members, but sometimes, she is surprised herself. As with most shows, Ellen’s is planned before she walks on stage, but she recently got a phone call that changed things a bit. 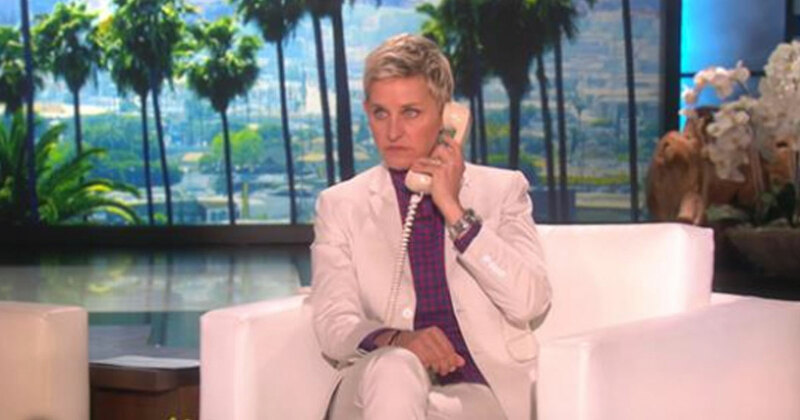 While Ellen was sitting in her chair, she got a phone call on stage. Ellen and the audience were intrigued. The letter was from a woman named Kim Jeger. The camera found Kim in the audience. She was there with her mother and had broken down and started crying. She was emotional over her own letter and the fact that Ellen was really interested in her story. 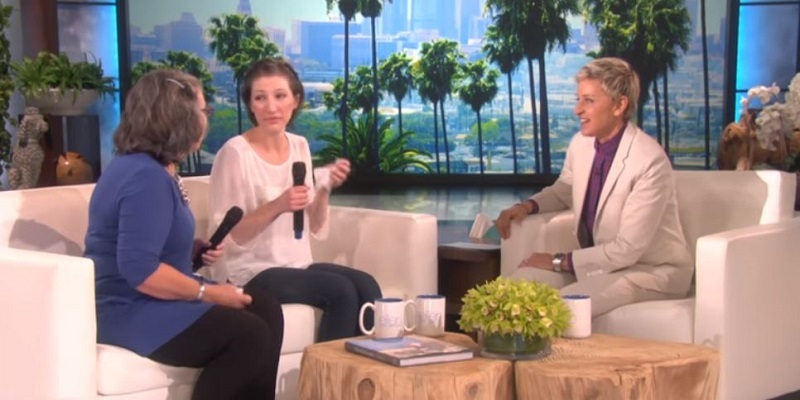 At this point, Ellen had to call Kim and her mother, Becky, up on stage to talk. Kim went on to share her story about how she went through chemotherapy with her mother and how that somehow made it easier for her to fight and cope with it all. She also talked about her wedding and how excited she was to move forward with her life. Ellen congratulated Kim on being cancer-free and her wedding. She also had a few things for her. As she presented the gifts, she announced that they all had a theme. There was something old, something new, something borrowed, something blue. Ellen continued to pull out gifts for the bride-to-be as she sat in shock at the kindness of her favorite television host. It was a dream come true for Kim to be on the show and meeting Ellen. 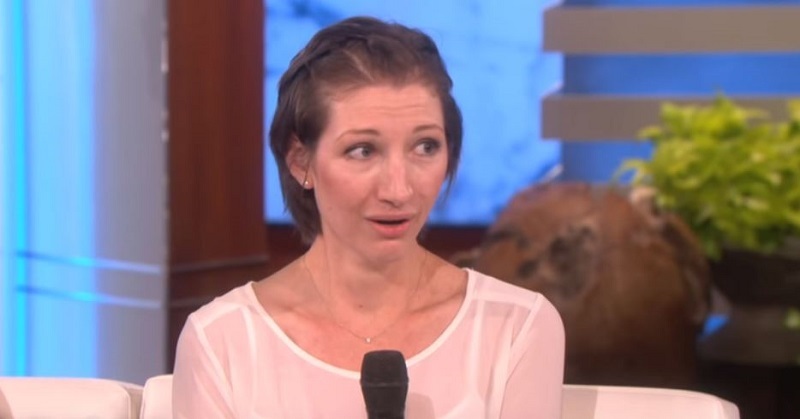 The fact that she could tell the world that she was cancer-free was beyond anything she had hoped for. Now, she was sitting on stage getting gifts for her wedding. It was just too much. Becky was sitting right beside her daughter and tried her best to keep her calm. Kim was beyond thrilled with every gift she received. The audience was happy for her, too. Now that Kim can put her recent cancer scare behind her, she can focus on her wedding. She has her whole life ahead of her, and thanks to Ellen, she has a few things less to worry about while planning the wedding.